Spemocean Pte Ltd. is looking to hire a Derrickman for their upcoming project in Brunei. Local Bruneian is preferred but client will be willing to consider other nationalities. More information will be provided to suitable candidates. 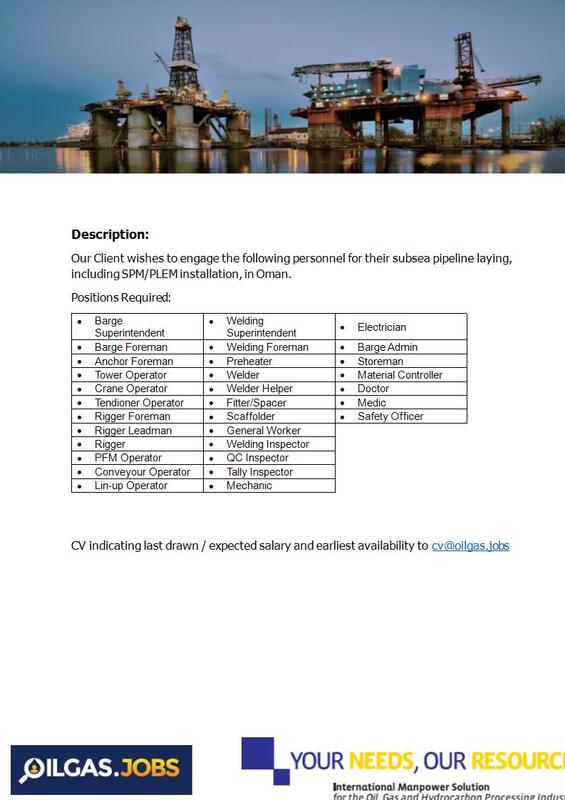 Spemocean Pte Ltd. is looking to hire an Assistant Driller for their upcoming project in Brunei. Local Bruneian is preferred but client will be willing to consider other nationalities. More information will be provided to suitable candidates. Oilfield Workforce Group is looking to hire a Senior Secretary for their Client’s project in India. 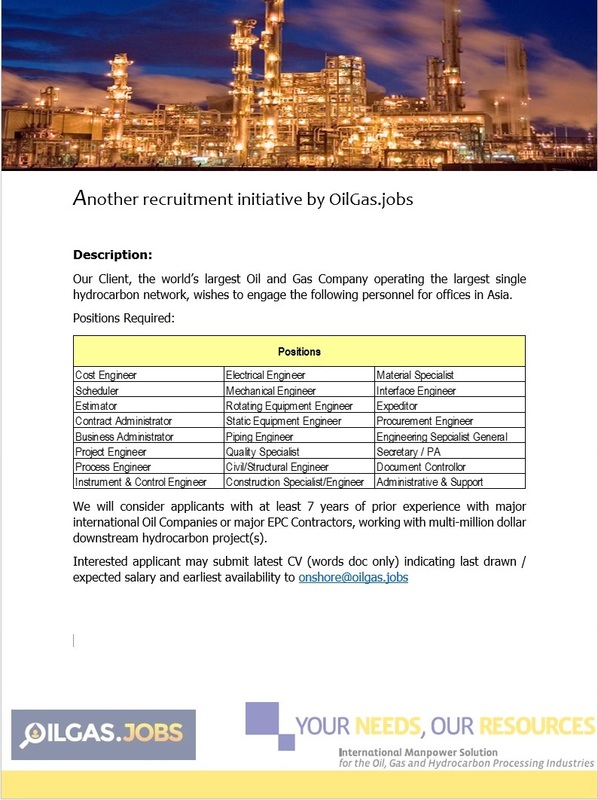 Oilfield Workforce Group is looking to hire a Document Controller for their Client’s project in India. 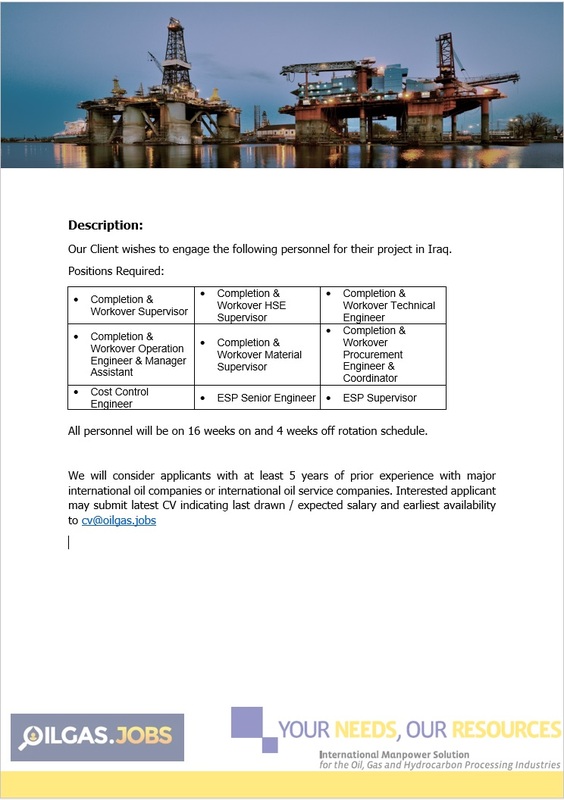 Oilfield Workforce Group is currently seeking candidates for multiple positions. Oilfield Workforce Group is hiring 3 Quality Inspectors for their client's project in India. 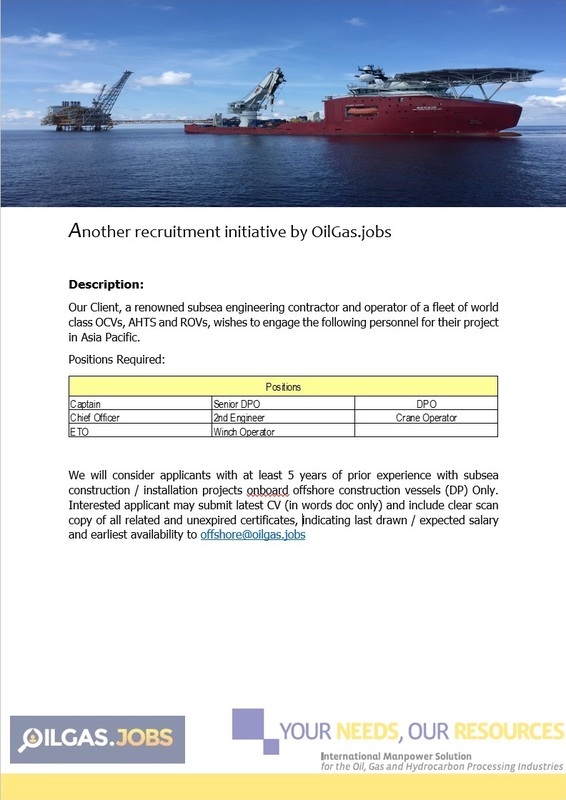 Our Client, a renowned subsea engineering contractor and operator of a fleet of world class OCVs, AHTS and ROVs wishes to engage the following personnel for their project in Asia Pacific.